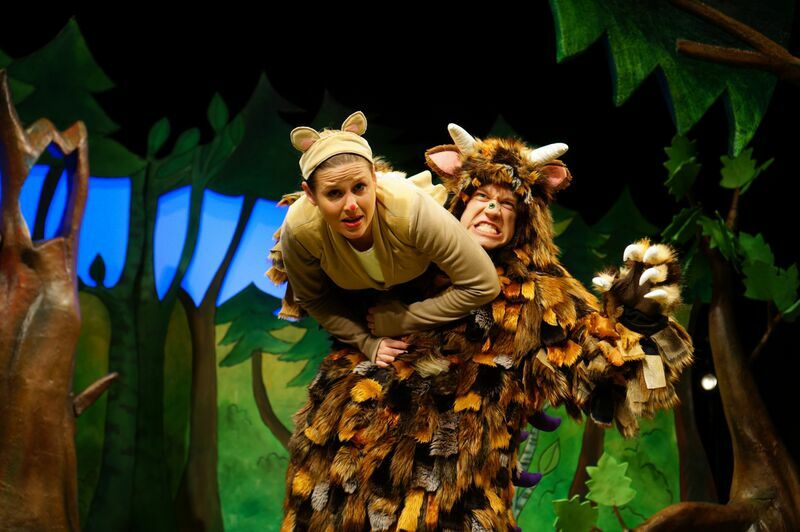 This summer, Tall Stories’ production of The Gruffalo returns to the Lyric Theatre for another monster West End season; a well-seasoned hit, with some new touches in costume and set design. The Victorian theatres of the West End are not particularly child-friendly – the shallow rake makes no allowances for diminutive patrons (having booster cushions available, as the New London did for Elephantom visitors last year, would be a useful innovation), and the air-conditioning battles slightly to cool a sweating mass of oscillating kids and flustered parents, especially on a day as hot as this one. Having somebody to watch on stage beforehand would also help beguile young spectators wondering aloud, with increasing desperation, ‘Why hasn’t it begun yet?’ (Also, beware the omnipresent Gruffalos-on-a-stick – eye-wateringly priced at £4 a pop). 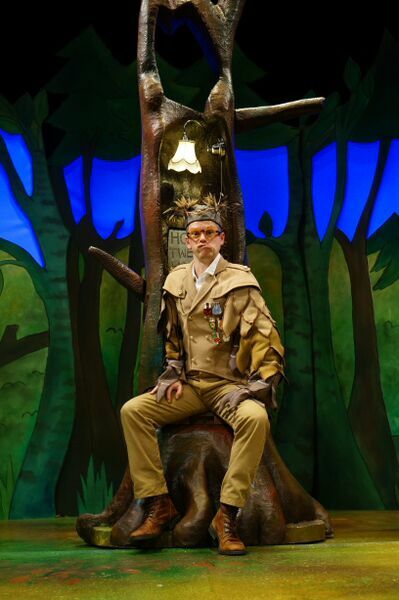 The essence of good children’s theatre is doing more with less, and this production is most successful when it does so – using just three actors and a set of engagingly Scheffer-esque trees, some of which boast tiny doors or interiors with punning cross-stitch (‘Home Tweet Home’), and sticking closely to the pared-down bare bones of the story itself. There’s a bit too much padding-out and badinage, especially at the beginning of the show, much of which goes over the kids’ heads – but the show hits its stride when the story properly gets going. 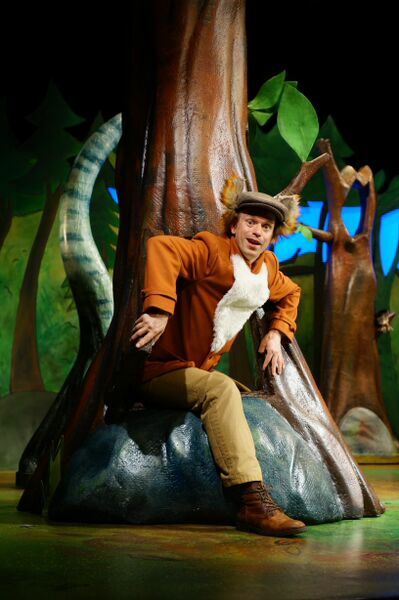 And my daughter and I both love the new costume design – everybody guffaws at the moment when the ears ping upright on the Fox’s cap, and the Mouse’s rope tail, the Owl’s neon orange specs, and the Snake’s spangled jacket all go down a treat. 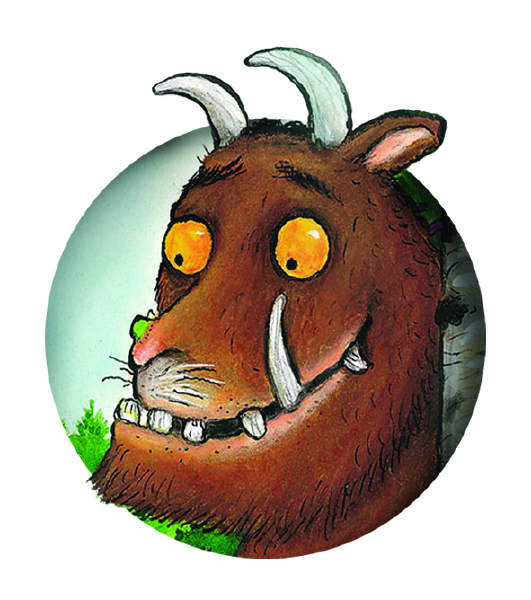 Although some of the songs feel a bit misjudged to me – too old for pre-schoolers, and too slapstick for parents – the Gruffalo song, a growly number with a mockney, Parklifey chorus (‘G-g-g-gruffalo!’), causes even the spouse to whom most theatre is anathema to sing it quietly all the way home. My pedantic reservations set aside, most pre-schoolers will have a barnstorming time with Tall Stories’ staging’ of Donaldson’s delightful characters.